Look at this sequence; I6, 06, 68, 88, X, 98. What does the X represent? The answer is 87, in order to solve this you need to look at the numbers upside down. The sequence comes out to be 86, ?, 88, 89, 90, 91; therefore the ? is 87. 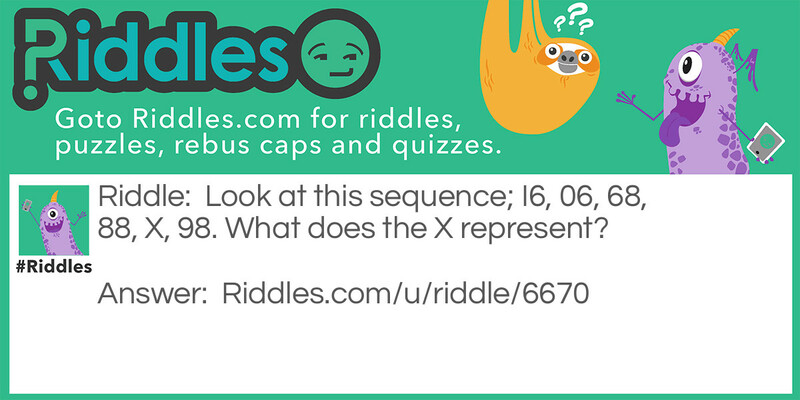 Tricky Numbers Riddle Meme with riddle and answer page link.